A Partnership at Will is a form of business partnership where there is no fixed term agreed for the duration of the partnership. In other words, it is completely open ended. This differs from a usual business partnership by way of agreement as this type comes to an end at any time when a partner serves a notice to dissolve the partnership on the other partner or partners providing the partnership agreement provides for this. 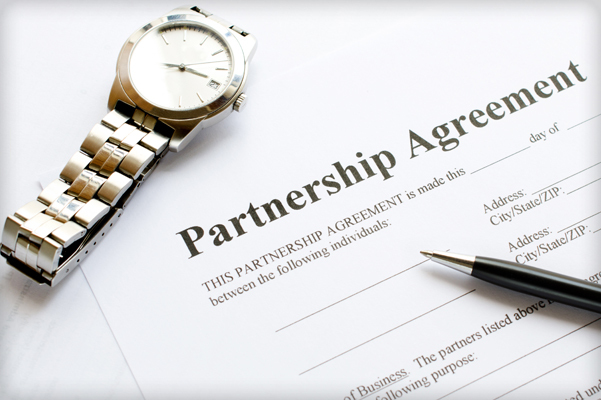 A partnership will be deemed to be a Partnership at Will unless contrary evidence can be shown. To show contrary intention there must be an express (in writing) or an implied (by conduct) agreement which shows that the partnership is not a Partnership at Will. It can be difficult to reflect by conduct alone that the business is not a Partnership at Will and therefore it is advisable that any business partnership agreement is contained in a written document which can be referred to. A Partnership at Will is governed and subject to the terms of the Partnership Act 1890 (“the Act”). This Act, given the date, is often considered to be ‘out of date’ for modern businesses and does not take into consideration the intricacies of today’s business world. For example, under the Act when a partner dies, the partnership automatically comes to an end and similarly there is no provision for a partner to retire without bringing the partnership to an end. In this day and age your business can be as flexible as you want it to be, providing that you have drafted an agreement which contain the terms for reference. In addition, the Act dictates that the business’ profits and losses in both income and capital are divided equally between the partners. Therefore as a result of the Act, all partners are liable for any debts incurred by the business in addition to an equal sharing of the profits which in some partnerships might not be intended. For example, partnerships can now be more diverse where each partner may have different responsibilities and workloads which may be reflected in the remuneration that they receive. The Act unfortunately does not allow such flexibility. By having a formal agreement in place such as a partnership deed or agreement you are preventing any unexpected adverse consequences of your partnership being solely governed by the Act which can be considered to be rigid. It allows you, together with the other partners, to decide how the partnership will come to an end, how profits and liabilities are dealt with and how retirement is dealt with amongst other key matters. A partnership agreement can therefore act as a type of insurance policy which guides the partners through every eventuality in business.